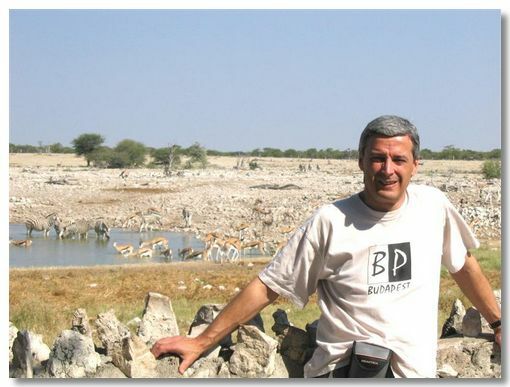 We flew to Windhoek in May 2005. 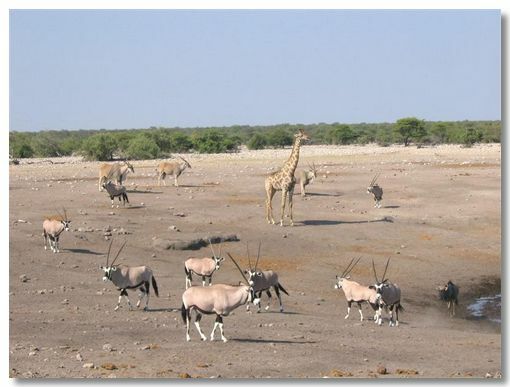 From there we went to Etosha National Park, via Tsumab. 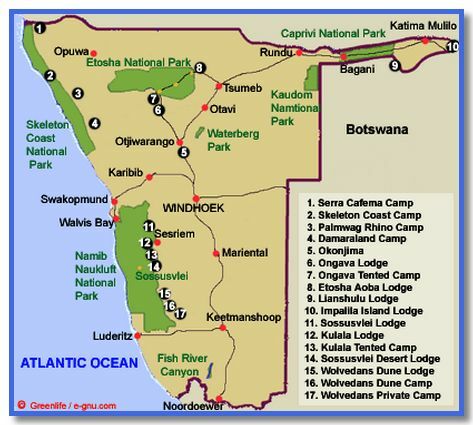 We travelled on to the Skeleton Coast, staying in Swakopmund, where we had fun Sand boarding. From there we drove to Sossusvlei to see the world's highest sand dunes and then back to Windhoek to return home. 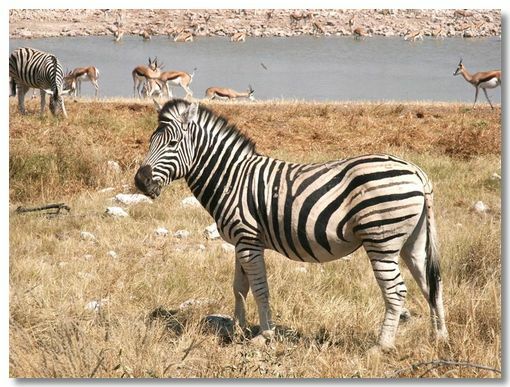 Our first Safari! The sunsets were truly glorious. 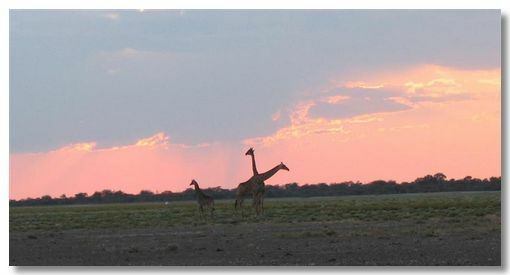 This Camp was by a natural waterhole which attracted game all day & all night. We loved being here. 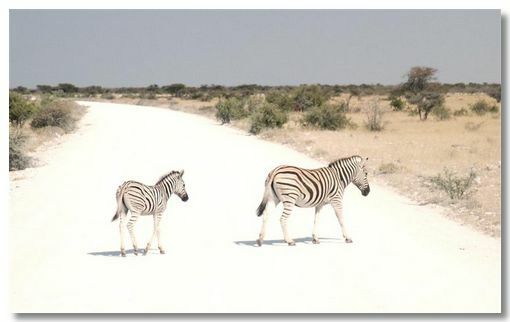 We saw a large variety of wild animals in the Etosha National Park, which is the size of Wales. 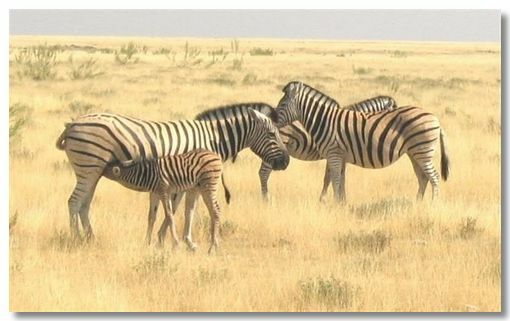 Zebra were very plentiful in large herds. 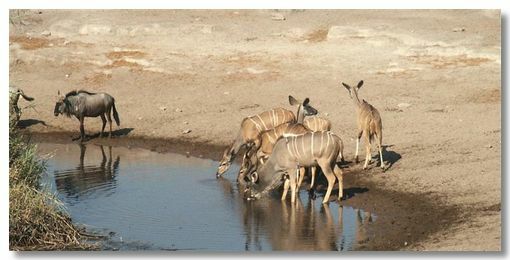 It was sometimes very crowded at the waterholes. 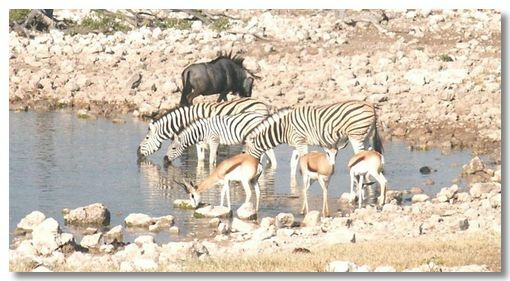 We could happily spend all day at waterholes watching the animals. 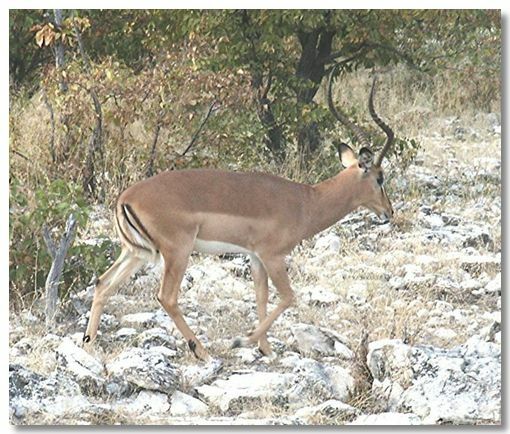 Kudu taste nice as well (sorry Eleanor). They are particularly graceful & beautiful creatures.